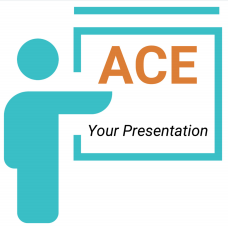 Ace Your Presentation is for professionals whowant to grow their business through speaking. 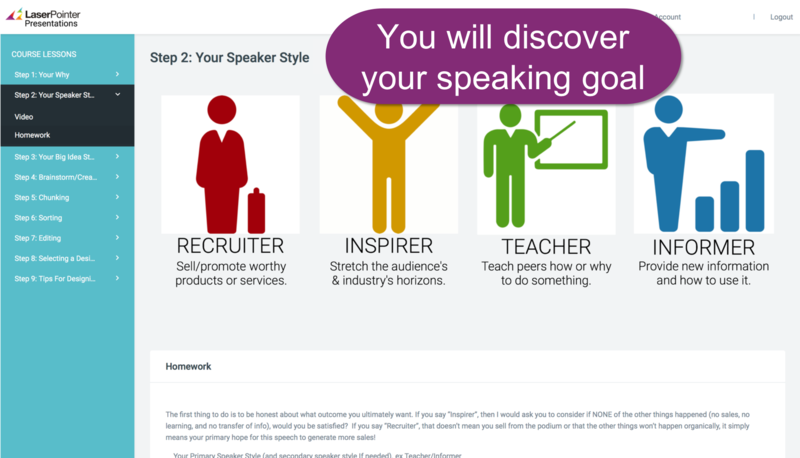 After using this online content development program, speakers say they have more confidence in their content AND get the results they wanted. 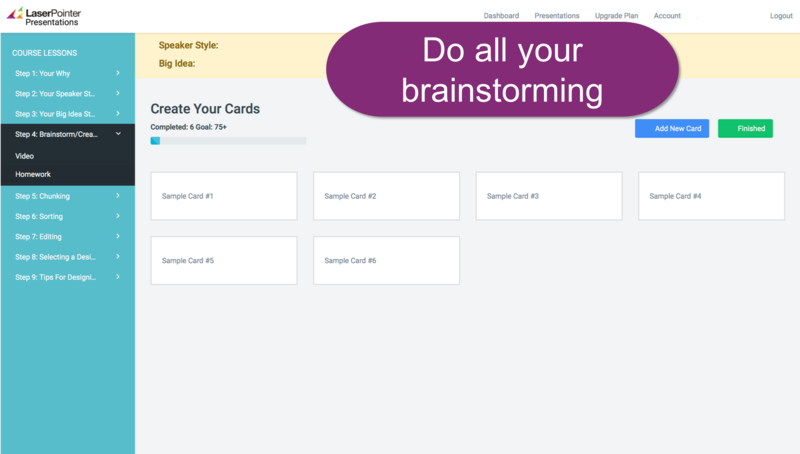 This step-by-step system guides you as you take your great idea and helps you easily get started. By the end you will have your talk outline completed! 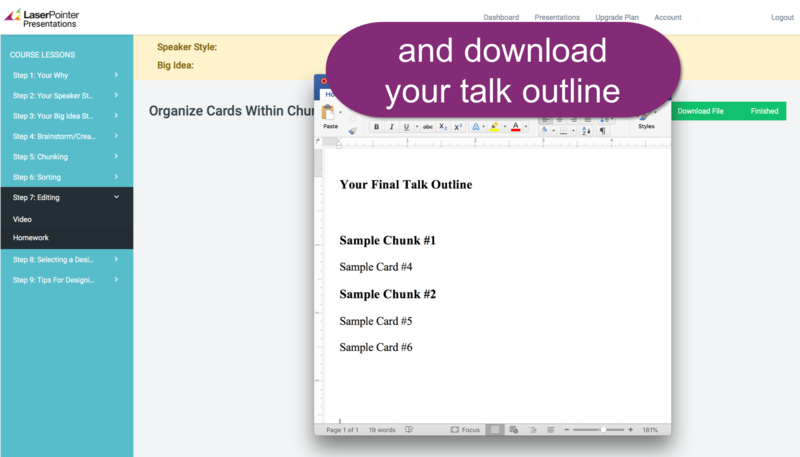 Trying to cram Too Much Information into your presentation? 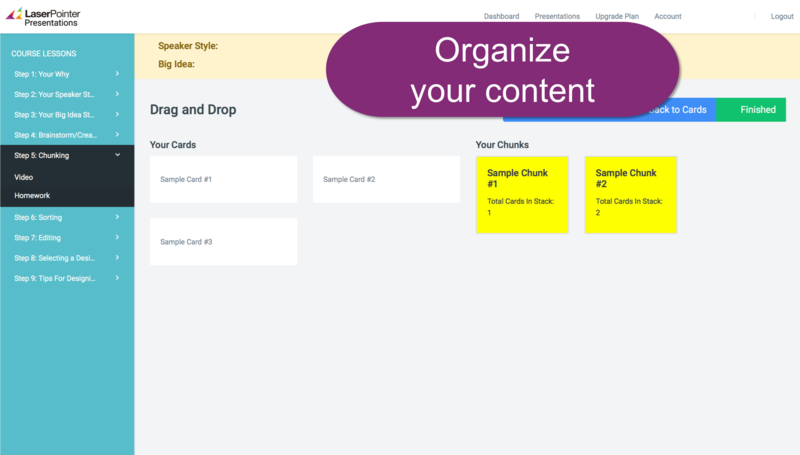 Learn how capture all your ideas and filter them to deliver clarity and achieve your goals! How to craft your messageso the audience will act on it? Using neuroscience principles, create a message that connects you to your audience and facilitates change. 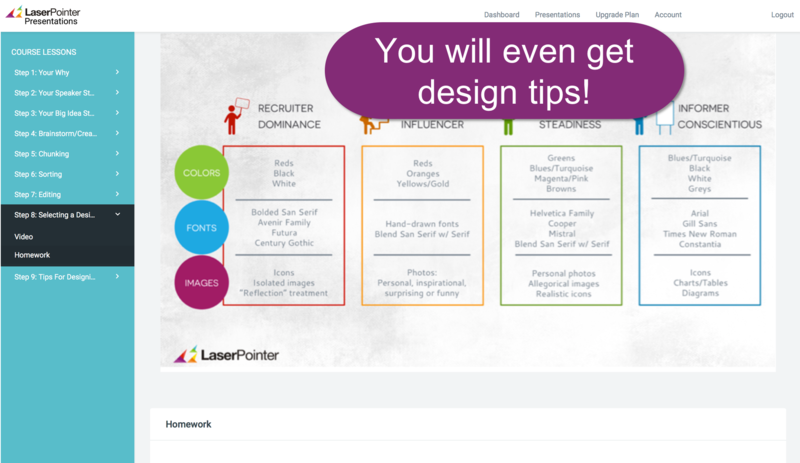 Gain design tips and inspiration that will help you create compelling and memorable slides. "Testimonial #1 blah blah blah and yada yada yada blah blah blah and yada yada yada blah blah blah and yada yada yada"
"Testimonial #2 blah blah blah and yada yada yada blah blah blah and yada yada yada blah blah blah and yada yada yada"